The USDA revealed their new education program to help families build healthier diets recently. They plan f or Choose MyPlate to replace the Pyramid that they have been using. For many of us in the nutrition and health education fields – this isn’t a new concept – we have used this in teaching healthy meal planning for diabetics. – A dinner plate is divided in half, with one side featuring fruits and vegetables; and the other is divided between protein and grains. A small serving of dairy is shown with a cup. – The plate graphic is focusing on avoiding oversized portions of food – by using a small to medium sized plate. – The dairy foods you eat should be fat-free or low-fat (1%) milk. – Move toward eating whole-grains for at least half of your grains. Try popcorn, whole-wheat breads or pastas, brown rice, whole oats, or whole-grain corn products. – Choose a variety of fruits and vegetables to fill that half a plate. Focus on those bright red, orange, dark green and purple varieties. – Check out the sodium in foods by reading labels. Try to choose more that are reduced or low sodium versions. Work toward reducing your sodium level to no more than 1,500 milligrams per day. Include many fresh and home-made foods in your diet. – Drink water and milk and avoid soda, sports drinks, and energy drinks. They just add empty calories to your diet, which may result in unwanted pounds. – Proteins in your diet need not be a traditional meat –they can include dried beans or peas, eggs, nuts, soy foods, or sea foods. I’m sure you will hear a lot more from us about the revised plans for healthy eating for Americans. 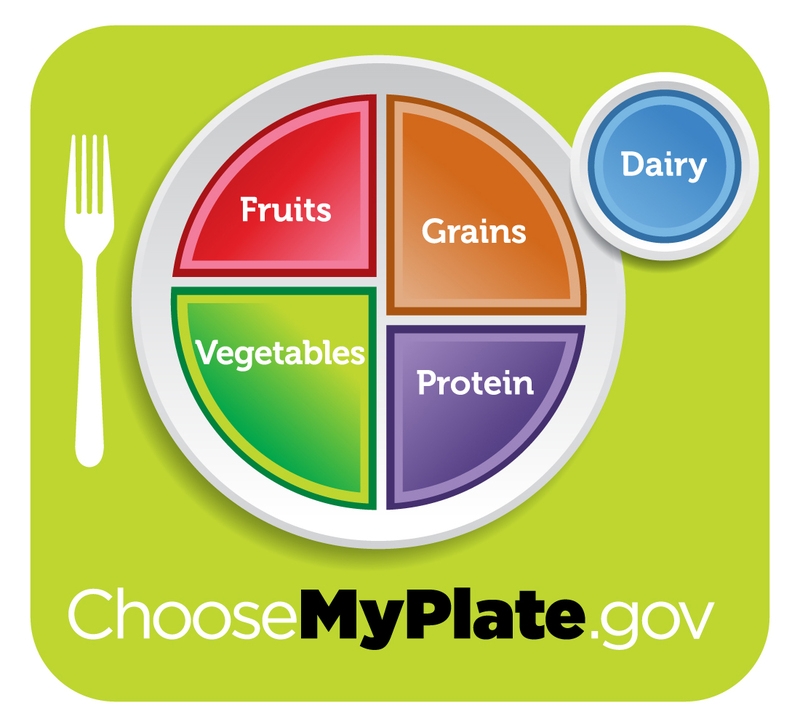 Check out the USDA resources available from http://www.choosemyplate.gov/. They include: Daily Food Plans, Interactive Tools such as a Food Tracker, Recipes, and Sample Menu’s. Author:Lisa Barlage, Extension Educator, Family & Consumer Sciences, Ohio State University Extension.